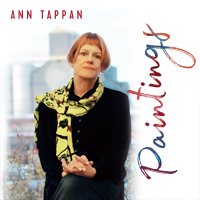 Paintings ranges from delicate solo piano compositions to harder driven ensemble-fusion always featuring piano. I am fortunate to be deeply inspired by the many artists I’ve known in my life who have enriched my experience of living through their work. In recent years painting has left a very strong impression on me and as a result I have been viewing the world around me in a very different way. This has directly influenced my mood and feelings when composing, playing and arranging music.